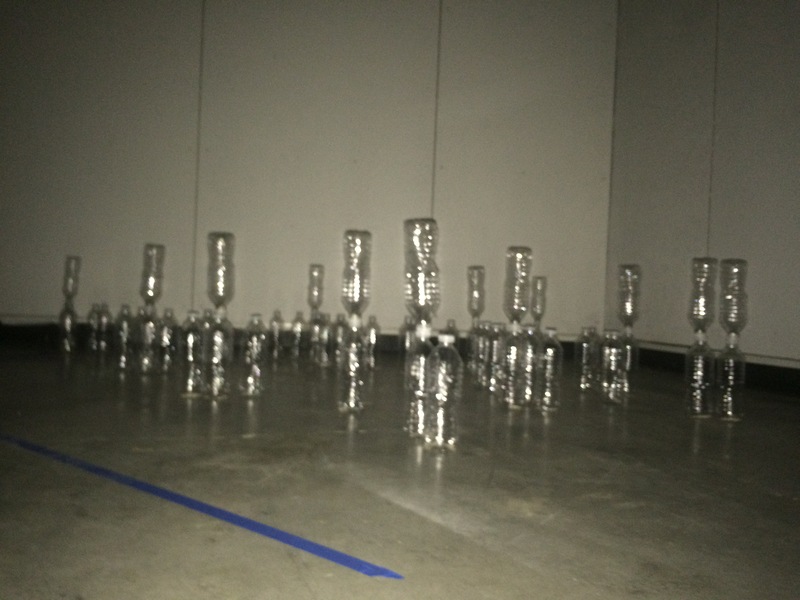 For my Blackspace I created a room full of water bottles, which I thought would be interesting to navigate in the dark but never expected would be a musical and noise generation experience. 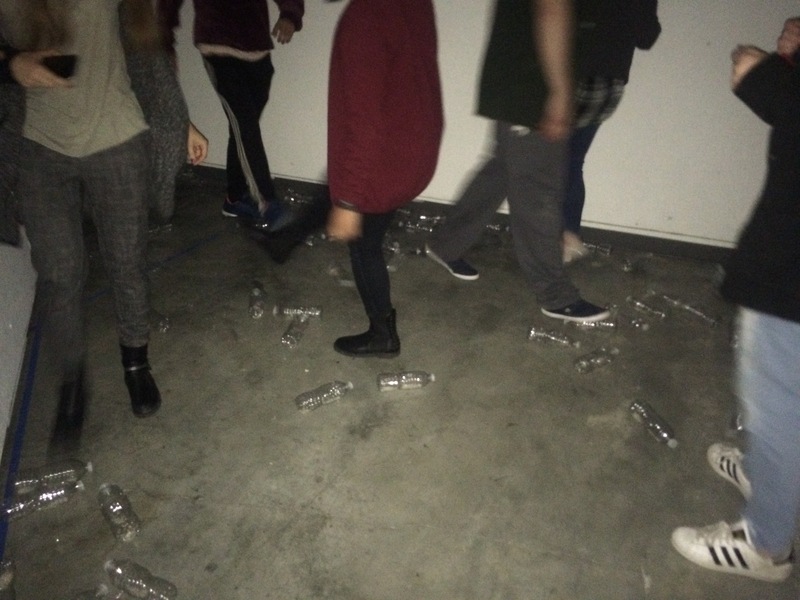 The original aim was to place water bottles in a manner in an enclosed space, where people would then have trouble navigating in the dark. 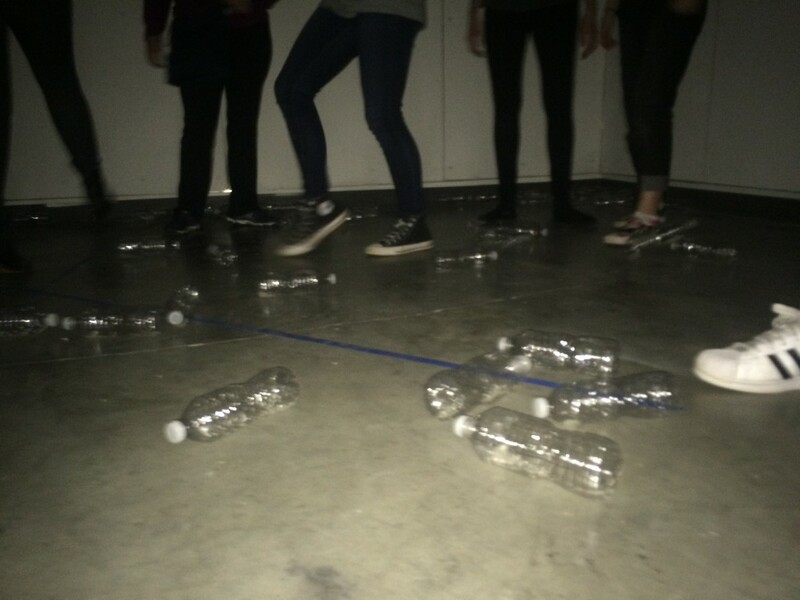 The first run through with our class I found that the bottles made interesting noises as they crashed, and those noises in turn attracted people to kick and move the bottles around in a louder fashion. Later run throughs had people almost immediately try to make noise and move around in the dark space. What was enthralling was after the set-up I could use the moving wall to enclose people, and besides encouraging more careful groups they system could exist and expand on its own. Presentation of the piece also became important as I tried to have it in our showing, removing labels of the bottles as well as integrating the wall as an area setter to begin the piece. What was wonderful was being able to just have a start and not worry about an end.